It’s rare that I find a pop/pop rock album that’s worthy of reviewing. Typical pop albums drop fluffy lyrics like petals from wilting flower. 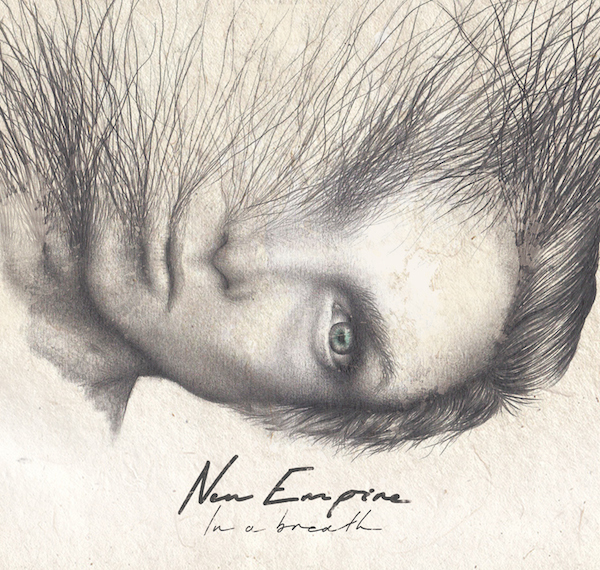 New Empire‘s new release, In A Breath, is a rarity. Delivering pop gems with simple, yet profoundly insightful and moving lyrics. Yet, the band doesn’t stop there as the instrumentation on In A Breath brings the song to a superior level. Since forming in 2005, New Empire has built a devoted fan base in their native Australia. Performing with the likes of Neon Trees, Switchfoot, Relient K, Good Charlotte, and Owl City shows the musical acumen of this band. They’ve remained relatively unknown in North America, but as a recent addition to Seattle’s Tooth & Nail Records, New Empire will likely gain a new following on this continent. It’s always nice to be on the ground floor by having the opportunity to watch a band develop and mature, but, there could be no better recording than In A Breath to be introduced to New Empire. Beautiful vocals from Jeremy Fowler, backed by great instrumentation from Kale Kneale (drums), Nathan Cairns (bass) and Kyle Lane (guitar) round out the foursome’s sound. In A Breath creates a musical odyssey, leading the listener along a path that is full of the honest emotions of life. Gathering insightful thoughts on healing, loss, renewal, and hope, New Empire reach the heart of us all. “Tale of Jonah”, the lead off track of In A Breath, brings a sound reminiscent to Jars of Clay’s debut album. Musically New Empire continues to draw some influence from the early days of Christian rock. “Left Behind” takes a funky keyboard trip into the past, while “Say It Like You Mean It” brings memories of ’80’s rock. The song “In A Breath” is a mournful, yet beautiful tune that bears the loss of a loved one and expectation of reunion. The hit single “Relight the Fire” is found twice on In A Breath, in both full band and acoustic format. While the fleshed out version has music that draws you to the pinnacle, it’s the acoustic rendition that brings you closer to the root of the lyrics. The renewal of your soul. Without question New Empire has a message to deliver that is sought by all of us. By giving In A Breath a chance, you’ll discover an album with a profound beauty that creates a longing to rediscover the truth of your soul.